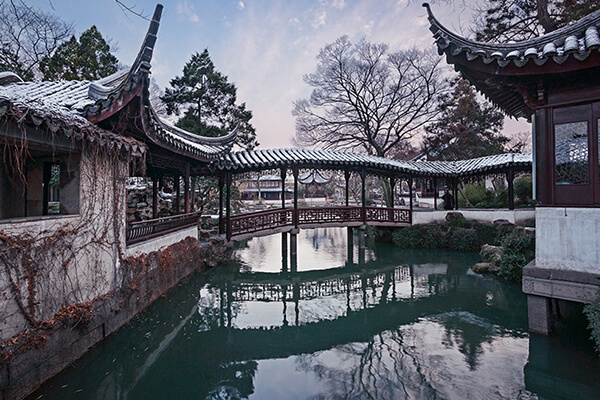 A national 5A tourism zone,the Humble Administrator’s Garden is on Northeast Street of Suzhou.It is the largest classical garden in Suzhou covering an area of 52,000 sq m and enjoying a reputation of being the “Mother of Chinese Gardens.”As part of Suzhou gardens,it has been included in the Word Heritage List. The garden contains several pavilions and bridges set among a maze of linked pools and islands. It consists of three major parts set about a large lake along with a dwelling quarter. 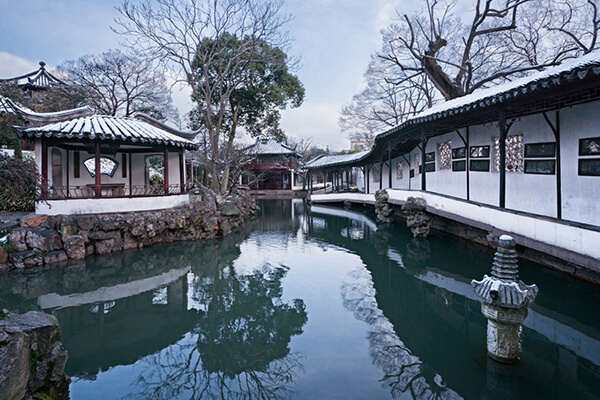 The dwelling quarter contains the typical civilian residences in Suzhou,and it has been converted into the Museum of Suzhou Garden. The central part is the quintessence of the garden. This section is composed of many scenes arranged around the “Surging Wave” Pond. Within the pond three islands recreate the scenery of the fairy islands of the east sea. All the pavilions,terraces,towers and kiosks were built by the rippling ponds. 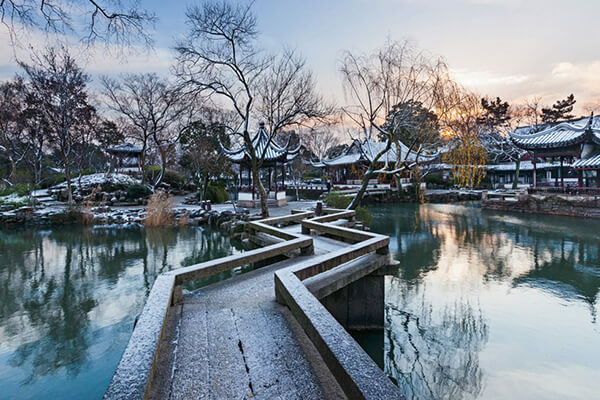 The western part is called“Supplementary Garden”,with a winding pond that runs from north to south, and at the central part rises an islet with beautiful waterside pavilions and towers. Although small, it is planned with meticulous care and precision.